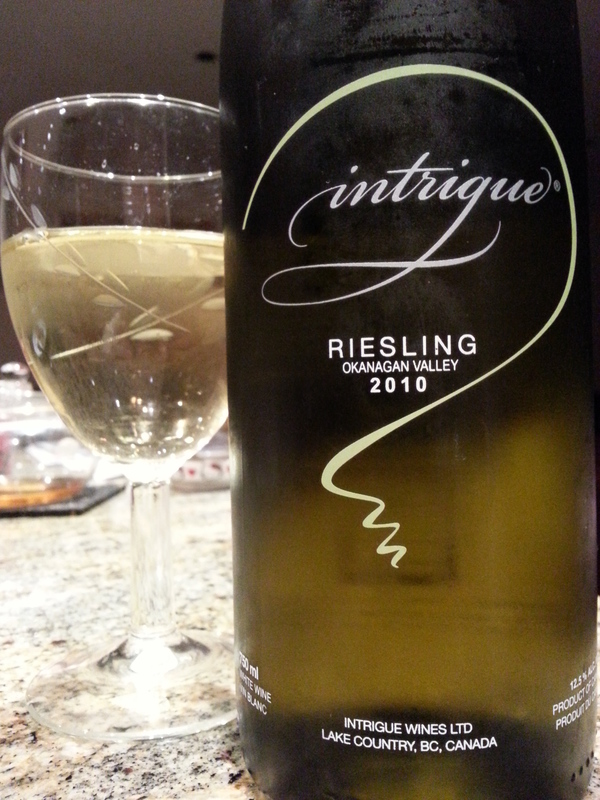 Intrigue Riesling 2010 (Lake Country, BC, Canada) | Justintoxicated. Visual: Pours clear light golden yellow with watery legs. Finish: persistent tanginess(7), acidic sourness(9), thickened saliva(5), lingering sour-tangy apple finish.